The concept of authorship casts two long shadows across western creative culture: plagiarism and forgery. In the realm of music history, the first of these twin transgressions against the author will likely be rather familiar. From Franz von Walsegg’s appropriation of Mozart’s Requiem in the 1790s to the highly publicized (and still divisive) 2015 legal case surrounding the hit song “Blurred Lines,” the issues of style, authenticity, and identity raised by passing off someone else’s music as your own are profound. But what about forgery—the act of attributing your own music to somebody else without their knowledge or consent? Since musicology has remained curiously silent on this topic it is worth pausing to consider what musical forgery should be understood to mean, and why one might want to engage in such activity. The topic is a tricky one. For a start, the very possibility of forgery in music is apt to tie conventional wisdom about the concept of the musical work in knots. As the art-dealer-turned-Harvard-philosophy-professor Nelson Goodman put it, “in music, unlike painting, there is no such thing as a forgery of a known work.” This is to say that, in the realm of western art music, referential forgery—that familiar trope of crime thrillers in which a flawless copy of a Vermeer or Degas is produced and then passed off as the original—makes no sense whatsoever. As far as Goodman was concerned, any accurate notation or performance of a symphony or a sonata is just that and nothing more: merely one fungible token of the work, not the work itself. While many of us might want to push back against such a restrictive ontology, taking Goodman at his word does nothing to refute the possibility of forgery in music. What is elided in his assertion that forgery of “known” musical works does not exist is the inventive variety of forgery, which involves the creation of a new (or “unknown”) work designed to be falsely attributed, rather than a copy of something already made. While numerous examples exist in literature and painting, musical composition is particularly well suited to acts of inventive forgery. You might already have examples in mind. Amongst the best known are the forged “eighteenth-century” works produced in the wild-west days of early music revival and still performed and enjoyed the world over—sometimes under the names of their true composers, sometimes not. While the faux Baroque of Kreisler and his ilk is typically considered an exceptional curiosity of the early twentieth century, one does not have to look far to discover that musical forgery extends both backwards and forwards in history well beyond this period. 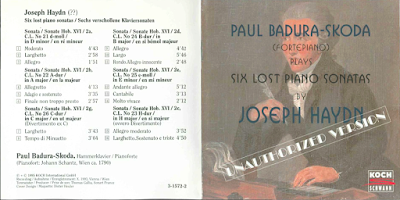 My most recent research on the topic, for example, has focused on a case that unfolded as recently as the winter of 1993–1994, when news broke that six “rediscovered” Haydn keyboard sonatas were not by Haydn at all. Having dubbed the works “The Haydn Scoop of the Century” in the January 1994 edition of BBC Music Magazine, H. C. Robbins Landon, arguably the most influential Haydn scholar of his generation, was forced just one month later to rebrand the sonatas as a brilliant hoax. The story is iconic of the kind of inventive musical forgery that I am talking about. On the one hand, the works were all newly written in the 1990s, and thus not referential in the sense Goodman deemed impossible. Yet the opening of each forged sonata was based on a distinct four-measure incipit that Haydn had recorded in his draft catalogue, with the effect that the discoveries seemed to correspond to compositions that had remained lost for over 200 years. 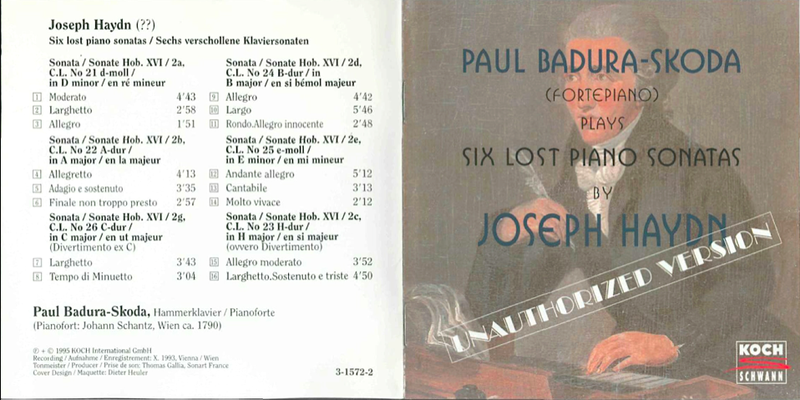 “Known unknown” musical works such as these (to borrow an influential epistemological concept from Donald Rumsfeld) are the perfect invitation for deception. Forgery tends to succeed most spectacularly when given the opportunity to provide sought-after missing links in the “life and works” narratives constructed by academics—the shadowy lost compositions that we, as musicologists, believe should exist, but are unable to access. This unsettling symmetry between musicology and forgery goes deeper still. The skills necessary to forge musical works by following the parameters of a given idiom are, rather alarmingly, a longstanding staple of the undergraduate theory sequence, as anyone who has had to imitate the style of Palestrina, Bach, or the first Viennese school in a model composition assignment will acknowledge. On one level, the rediscovered Haydn sonatas can be seen as masterful model compositions gone bad. Musically speaking, Robbins Landon was convinced not only that they were “of very high quality,” but also that, because of their perceived origin in the years leading up to the so-called Sturm und Drang period and use of “unexpected modulation,” they clarified “in a particularly striking way Haydn’s search for a new musical language of strength and beauty.” Such glowing evaluations of “unexpected” details (when presumed to stem from a historical master, not a modern imitator) might be the most fascinating aspect of forgeries as aesthetic objects. There is no better illustration of the tension inherent in presuming authorial identity to be falsifiable by virtue of style alone (put simply, the idea that piece X could not possibly be by composer Y because of Z transgression against the norms of counterpoint) while simultaneously equating genius with inspired originality. So why would someone bother to produce compositions such as these in the first place? Compared to the lucrative business of forging paintings there is little financial incentive to forge a musical work, especially given that the manuscripts falsified to contain such compositions tend to imitate the hands of obscure copyists, not illustrious authorial figures like Haydn. While there can be no simple or universal answer to the complex question of motivation, one compelling possibility is to read forgery itself as a critique—whether of aesthetic snobbery, experthood, or academic authority itself. With this in mind, it is precisely the fact that one cannot get rich by selling forged musical works that—for me at least—makes musical forgeries more intellectually intriguing than their better known visual counterparts. The relationships of power and authority at play as forgers compete against academic critics in the arena of musical composition are all the clearer without multi-million-dollar profits to consider. Beginning to take forgeries seriously as cultural acts on their own terms, then, is one means by which we can confront the ongoing challenges to authorship, authority, and truth itself that beset the modern humanities. 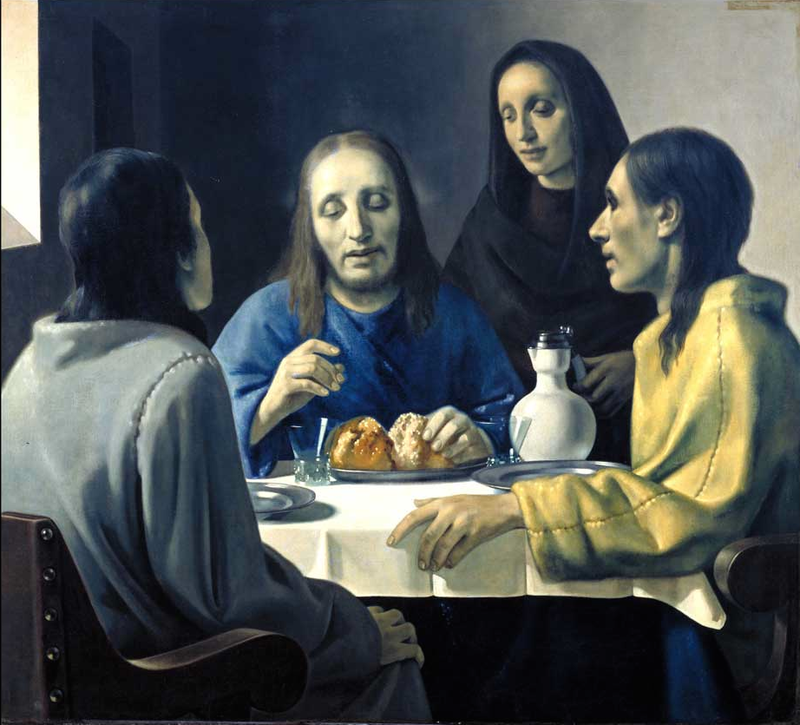 As the Met Art curator Theodore Rousseau aptly reminds us, "we can only talk about the bad forgeries, the ones that have been detected; the good ones are still hanging on the walls." With this aphorism in mind, our familiar museums of musical works might never sound the same again. 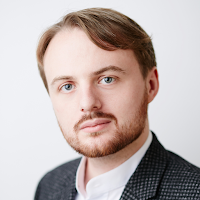 Frederick Reece is a PhD candidate in Music Theory at Harvard University, where he is completing a dissertation entitled “Ringing False: Music Analysis, Forgery, and the Technologies of Truth.” He was awarded the Paul A. Pisk Prize at the 2015 meeting of the American Musicological Society, and his research has been published in the Mosaic Journal of Music Research. Nelson Goodman, Languages of Art: An Approach to a System of Symbols (Indianapolis: Hackett Publishing Company, 1976), 112. The distinction between “referential” and “inventive” modes of forgery is developed at length in Jerrold Levinson, Music, Art, and Metaphysics: Essays in Philosophical Aesthetics (Oxford: Oxford University Press, 2011). H. C. Robbins Landon, “The Haydn Scoop of the Century,” BBC Music Magazine, January, 1994, 11. Has there been any recent research on Tobias Nicotra's forgeries? They spanned arts media and were apparently quite successful. Hi Kendra! It’s a great question. I must admit that, as far as I know, the existing literature on Nicotra is rather limited. While they are not particularly recent, the best places to start would probably be Bruce Haynes’s “The End of Early Music” (Oxford, 2007) and Harry Haskell’s “The Early Music Revival: A History” (Dover, 1996). Both of these books have chapters that draw Nicotra into broader narratives about the early music revival and its complex relationship to historical authenticity. That said, if there is any substantial work out there on Nicotra specifically that I am missing, I would be excited to hear about it.